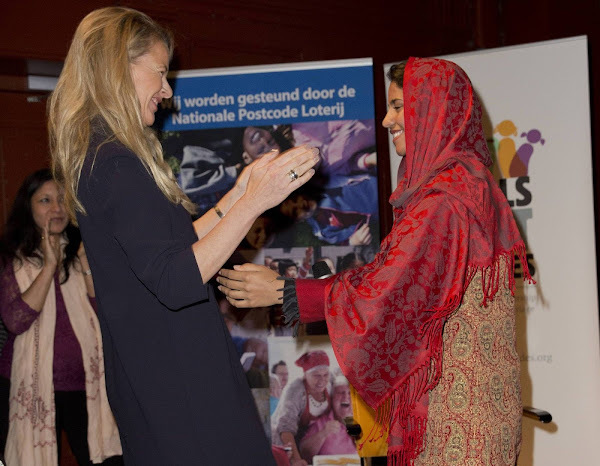 Princess Mabel of The Netherlands at the IDFA Film festival to meet teenage Afghan Rapper and activist Sonita and watch her movie in Amsterdam. 23 November 2015. (The film, Sonita, is the story of Sonita Alizadeh, an illegal Afghan refugee living in poverty in the suburbs of Teheran. Sonita Alizadeh is a force to be reckoned with. With a poet's soul and activist's passion, Sonita uses her rap lyrics and powerful voice to fight child marriage. 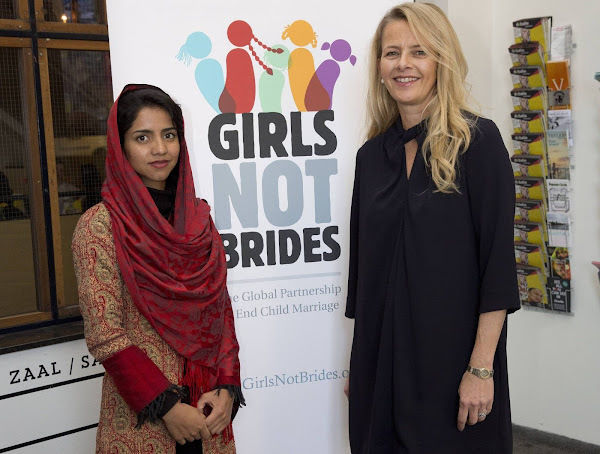 She succeeded in avoiding a marriage, and embarked upon a journey to end child marriage in the world). It is always great to see this lovely lady smile. And the great job she is doing and stands for.